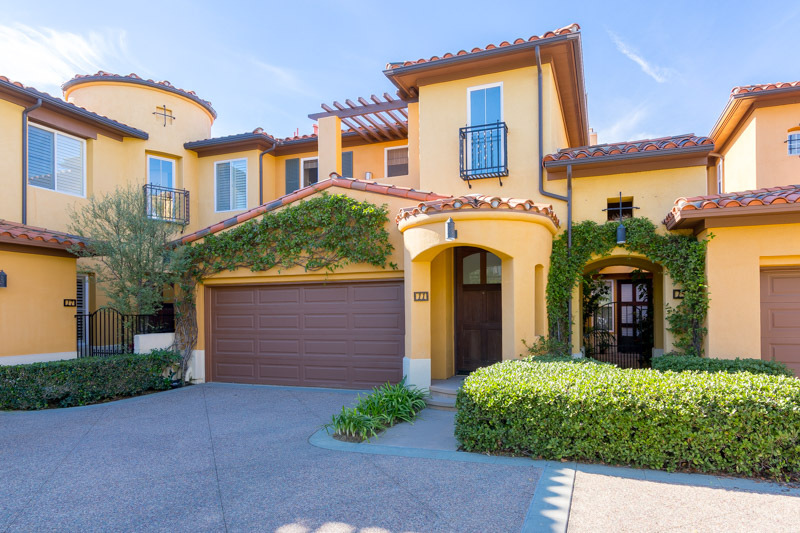 Nestled in the exclusive private gated community of Newport Coast, this almost 2000 square foot villa feels like home from the moment you walk in. With excellent views and luxurious amenities throughout you’ll regret having to leave your castle. Whether you’re an executive looking for a spacious home office or a part of the global jet set wanting a place to settle down after a long trip this home has what you want. High ceilings and natural light welcome you from above and lush Fabrica carpet from below as you enter your abode. Surround sound and a fireplace in the living room provide for a magical experience relaxing after a long day. The kitchen features a chef grade Thermador stove and fridge, granite counters and Fisher Paykel dishwasher. The inside/outside dining area off the kitchen hosts not one, not two, but THREE wine refrigerators so your wine collection is ready whenever you want to pop open a bottle. Travertine tile adorns all three full bathrooms with the master and secondary bedroom include French doors opening to your own balcony to enjoy those Newport sunsets overlooking the Pacific and Catalina Island. Not only will you have great views, but you’re right in the middle of the best shopping, dining and entertainment. Community amenities include private access to a staffed clubhouse, tennis courts, sports courts, and an Olympic salt-water pool and spa.